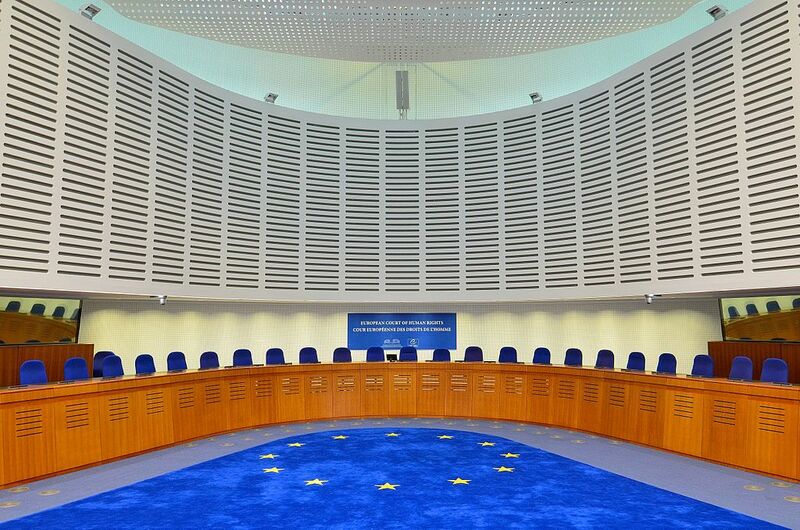 On 4 September 2014 the European Court of Human Rights (ECtHR) ruled in Trabelsi v Belgium that Article 3 of the European Convention on Human Rights requires Council of Europe member states not to extradite persons within their jurisdiction to states where they are liable to be sentenced to life imprisonment and where the legal system does not provide for any objective mechanism of review of the whole-life sentence. This decision concerned a Tunisian national, Nizar Trabelsi, who had been sentenced in 2004 by a Brussels court to ten-year imprisonment for terrorist offences. Whilst he was serving his sentence in Belgium, his extradition was requested by the US authorities in connection with terrorist offences distinct from those for which he had already been convicted. Despite an interim measure issued by the ECtHR requiring Belgium to suspend the extradition until the conclusion of the ECtHR proceedings, the Belgian government authorised Mr Trabelsi’s extradition to the US, where he is liable to face life imprisonment. The ECtHR found that Belgium had breached the prohibition of torture and degrading or inhuman treatment enshrined in Article 3 by extraditing Mr Trabelsi to the US as there was a real risk that he would be condemned to an irreducible life sentence, that is, a life sentence not reducible through a dedicated review mechanism. Although this decision is unlikely to alter the situation of Mr Trabelsi in any significant way, it could constitute an important precedent in strengthening the judicial protection of prisoners’ human rights. The Trabelsi ruling is the product of a long process of jurisprudential evolution as regards prisoners’ human rights under Article 3. This evolutionary process may be divided into three stages. [T]he decision by a Contracting State to extradite a fugitive may give rise to an issue under Article 3 (…) where substantial grounds have been shown for believing that the person concerned, if extradited, faces a real risk of being subjected to torture or to inhuman or degrading treatment or punishment in the requesting country. In that landmark decision, the Court considered that exposure to the ‘death row phenomenon’ amounts to ill-treatment prohibited by Article 3. Therefore, since a real risk had been established that the applicant would face the death row if extradited to the US, the Court held that the UK would engage its responsibility under Article 3 if it authorised the extradition. This principle of non-removal of persons within European jurisdiction to states where they are likely to be subjected to treatment contrary to Article 3 was reaffirmed in a number of subsequent cases. The second stage of this evolutionary process involved the elaboration by the Court of a test determining in which circumstances a whole-life sentence would cross the Article 3 threshold. In Kafkaris v Cyprus (2008), the Court stated that, in order to be compatible with Article 3, life sentences must be reducible de jure and de facto, i.e. in law and in fact. This test was held to be satisfied in that case by a provision of Cypriot law empowering the president to commute or remit life sentences and evidence that this power had actually been exercised in the recent past to release life prisoners. In Harkins and Edwards v UK (2012), the Court added that, for an issue under Article 3 to arise, it must be shown that the applicant’s detention is no longer justified on any legitimate penological grounds such as retribution, deterrence or rehabilitation. The applicants in that case had been indicted for murder in the US and their extradition was requested by the states of Florida and Maryland. As the life sentence they were liable to face could be commuted by those states’ governors, the Court held that they were reducible. Moreover, it had not been shown that upon extradition the applicants’ incarceration would not serve any penological purpose. In Babar Ahmad and Others v UK (2012), the Court likewise did not find that the extradition of several alleged terrorists to the US would violate Article 3. The life sentences they were likely to be condemned to were held to be reducible on account of the presidential pardoning power and the point at which their incarceration would no longer be justified was considered not to have been reached since they had not yet started serving their sentence. The Court stressed that ‘treatment which might violate Article 3 because of an act or omission of a Contracting State might not attain the minimum level of severity which is required for there to be a violation of Article 3 in an expulsion or extradition case’. This set a higher standard for an issue with Article 3 to even arise in removal cases, particularly where the requesting state ‘had a long history of respect of democracy, human rights and the rule of law’. A whole life prisoner is entitled to know, at the outset of his sentence, what he must do to be considered for release and under what conditions, including when a review of his sentence will take place or may be sought. Consequently, where domestic law does not provide any mechanism or possibility for review of a whole life sentence, the incompatibility with Article 3 on this ground already arises at the moment of the imposition of the whole life sentence and not at a later stage of incarceration. The Grand Chamber furthermore stated that the possibility of release of life prisoners on humanitarian grounds such as terminal illness does not amount to a mechanism of review permitting to evaluate whether the life prisoner has made such progress towards rehabilitation that his detention no longer serve penological purposes. The Court emphasised the importance of the rehabilitative aim of imprisonment in a system founded on the value of human dignity. It further pointed to an emerging consensus within Council of Europe member states as to the necessity to provide life prisoners with a chance to show their progress towards rehabilitation and a possibility of release if such rehabilitation is achieved. As UK law did not recognise such a possibility, it was found to violate Article 3 of the Convention. the national authorities to ascertain, on the basis of objective, pre-established criteria of which the prisoner had precise cognisance at the time of imposition of the life sentence, whether, while serving his sentence, the prisoner has changed and progressed to such an extent that continued detention can no longer be justified on legitimate penological grounds. The Court seems to have in Trabelsi completed the process of creation of a new human right started in Vinter. This so-called ‘right to hope’ of life prisoners must now not only be recognised in member states’ legal systems in order for life sentences to comply with Article 3 but it will also prevent extradition to non-member states where life prisoners are not legally entitled to a genuine prospect of release, such as the US. In removal cases, this human right applies irrespective of the gravity of the offence for which the applicant’s extradition is sought and regardless of the requesting state’s human rights record. As in Soering and Vinter, the Court has in Trabelsi expanded the reach of Article 3 to reinforce prisoners’ human rights. One hopes that in the event that Belgium appeals the decision to the Grand Chamber, the latter would uphold this commendable decision. Trabelsi v Belgium App no 140/10 (ECtHR, 4 September 2014). Soering v UK (1989) 11 EHRR 439 para 91. Cruz Varas and Others v Sweden (1991) 14 EHRR 1; Vilvarajah and Others v UK (1991) 14 EHRR 248; Chahal v UK (1996) 23 EHRR 413; Said v The Netherlands (2005) 43 EHRR 248; Saadi v Italy (2008) 49 EHRR 730. Kafkaris v Cyprus (2008) 49 EHHR 35 para 98. Harkins and Edwards v UK (2012) 55 EHRR 19 para 140. Babar Ahmad and Others v UK (2012) 56 EHRR 1. Vinter and Others v UK  ECHR 645. Trabelsi v Belgium App no 140/10 (ECtHR, 4 September 2014) para 137. On the right to hope, see Vinter and Others v UK, concurring opinion of Judge Power-Forde. See Chahal v UK (1996) 23 EHRR 413 paras 80-81 and, a contrario, Babar Ahmad and Others v UK para 179.